A waterproof jacket is an indispensable piece of clothing and your must-have gear for any hiking or trekking adventure. The first form of a waterproof clothing to be sold and gain popularity was the Mackintosh – or simply the mac, developed in the 1820s. The fabric used was rubber – pretty heavy at first, but much improved once the galvanisation process was in place in the 40s. Chemically treated fabrics became next to rank in popularity with the gabardine patented by Thomas Burberry. Oil-treated cotton and silk were also popular in the 1920's, but the real changes in the industry of waterproofing happened once nylon and vinyl started being produced, and reached the peak in 1969 with GORE-TEX®. GORE-TEX® revolutionised the industry by introducing the expanded polytetrafluoroethylene, PTFE for short, or Tefal as the original trade name. The PTFE is made of incredibly small pores, too small to be permeated by water drops, but big enough to allow the water molecules of the sweat escape. Gore-Tex is used by many brands like [The North Face] (/The_North_Face_Jackets-384/62), [Patagonia] (/Patagonia_Jackets-384/395), [Berghaus] (/Berghaus_Jackets-384/152), and is one of the most common waterproof fabrics to be used when manufacturing outdoor clothing. However, most outdoor brands have started using their own coating systems, implementing various new technological advancements. Membrane: A secondary fabric that is bonded to the primary fabric, usually made up of polytetraflurothylene (ePFTE) polyurethane (PU) or Polyester. Comprised of a web structure making it incredibly thin and lightweight. The benefit of this is that water droplets are trapped in the micro web structure, however sweat is still free to pass through. This construction means you end up with a highly breathable fabric. This type of fabric is best for high intensity use. Coated Fabrics: These fully seal fabrics that are normally sprayed or painted with a Polyurethene fabric. This enables the fabric to be both windproof and waterproof. This is a great choice for lower intensity activities or casual use. Garments engineered with GORE-TEX® fabric are durably waterproof and windproof, along with offering optimized breathability. This will help maximize protection and comfort for the wearer and are ideal for cycling, mountain biking, fishing, golf, motorcycling, running, hiking and skiing. The 2 Layer GORE-TEX® membrane is bonded to the outer fabric only. How does this benefit you? The separate lining inside improves comfort and versatility for the wearer. Pair with insulation to further enhance dryness and warmth. Unlike the 2-layer construction, the 3-layer construction bonds the GORE-TEX® membrane to both the outer fabric and the inner lining. This ensures that there is no movement between the layers, which leads to less wear and tear, and increased durability. Perfect for those who require extreme breathability. The GORE-TEX® Active construction is ideal for highly aerobic, done-in-a-day activities. Ideal for running, mountaineering, mountain biking and skiing. Maximized ruggedness is GORE-TEX® Pro's selling point. Garments engineered with these fabrics have been designed for extreme and extended use. Ideal for mountaineering, climbing, watersports, fishing, snowsports and motorcycling. Developed by Malden Mills Industry, the NeoShell® is a unique approach to waterproofing that started from the assumption that the water repellency property is pretty useless if the water molecules from sweat accumulate underneath the fabric. Created without a PU laminate coating, the new technology allowed the release of sweat and body heat, increasing outdoors performance through increased breathability. The technology was adopted by brands like Montane, Berghaus, Lowe Alpine, and many others. This is the multi-layered, waterproof and breathable technology used by The North Face, with rain and snow repelling properties and suitable for any outdoor activities, including skiing and climbing. The HyVent® has 5 levels: HyVent® Alpha, the most waterproof technology, HyVent® 2L, HyVent® 3L, HyVent® DT and HyVent® DT EC which uses natural castor oil. An alternative to GORE-TEX®, The North Face's unique approach utilises a polyurethane coating that has been thoroughly tested and improved on. The North Face's revolutionary construction utilises multiple textile properties by weaving them into once single fabric. This eliminates the use of stitched and taped seams. By fusing lighter, stronger and versatile fibres together the seamless construction offers a vastly improved technical design. [Jack Wolfskin's] (/Jack_Wolfskin_Jackets-384/1085) technology basically consists of a 2 layer construction and various microporous coatings or a non-porous membrane. The 2.5 and 3 layer versions have a special layer or lining laminated to the weather protection layer. The range varies from Texapore O2 and Texapore Infinity which come with 2.5 or 3 layers (the classic hardshell - breathable, windproof and waterproof), to the Texapore Air and the Texapore Softshell. Advanced waterproofing from Berghaus. The Hydroshell fabric is breathable and helps regulate your body temperature. The 100% waterproofing ensures you stay dry when you need it most, paired with their Argentium odour-resistant finish helps provide a more comfortable wearing experience by reducing 'next-to-skin' cling. Designed by Haglofs this recyclable Polyester membrane offers waterproofing via a 2-layer consutruction. Generally offered with an HH rating of 20,000mm you can rest assured that this will help keep you dry in sustained downpours. 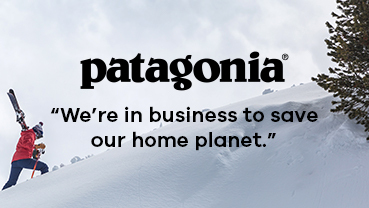 Patagonia's waterproof fabric H2NO comes in three variances - 2-layer, 2.5-layer and 3-layer. The intensity of the elements you intend to tackle dictates which you will need. All feature a water-repellent shell fabric with a waterproof/breathable membrane. Pertex Shield is a fusion of technically advanced face fabrics with the added benefit of a breathable microporous waterproof coating. focusing on durability, Pertex Shield combines wind and water protection with brilliant comfort, achieved by reducing condensation build-up within the jacket. [Marmot] (/Marmot_Jackets-384/641) kept on improving their technology and the end result is NanoPro™, a microporous structure 30% smaller for increased performance and durability in extreme conditions. All the jackets in the PreCip® range benefit from this technology with dynamic air permeability. Comprised of 2.5-layers the coating offers unprecedented performance with its Dynamic Air Permeability and long term durable waterproofness. In comparison to Marmot's previous coating technology the NanoPro™ is 43% more breathable. This was developed by [Berghaus] (/Berghaus_Jackets-384/152) and has a hydrostatic head of 10,000mm, while being extra-light. Tear-resistant and durable, the technology comes in 3 grades with various levels of weight. Some product descriptions state that the shell is also DWR. This stands for durable water repellent coating which means that once rain heats the coating the drops are beaded and fully rejected by the fabric. Whether the fabric is used for snow or rain jackets, the common test used by all outdoor brands is called the Static Column Water Resistance Test. The result is known as the Hydrostatic Head or HH. A column of water is placed on top of the fabric and once the water starts to seep through the fabric, it is known it can withhold that amount of water. This is measured in millimetre's, the more water resistant the fabric is and the longer it will take for it to leak. A HH of 5,000 mm is considered average, with good waterproofness starting from 10,000mm. Most waterproof jackets have this feature - they simply wouldn’t be waterproof without it. However, it’s better to check. Higher price point jackets will often feature double or triple sealed seams to further ensure durability and longevity. A hood is one of the greatest assets a jacket can have. Easily adjustable, so as to ensure the fit is as comfortable as possible. The hood should not obstruct vision and offer you complete visibility and freedom of movement. You may find with some hoods that they may be bulkier or looser which can be a negative point on windy days. On the other hand, if the hood is too tight and doesn’t cover the whole head, it will not offer adequate rain protection. Ventilation zips are very handy when hiking or trekking in warmer climates, and they prove that the functionality of these particular types of jackets goes beyond waterproofing and provide the user with ventilation and comfort. The cords will ensure that your jacket will be as snug as possible, allowing you to move freely. These are useful for more fragile or valuable items. However, if you stuff your pockets, you will probably find they will hinder your movements, so only opt for smaller, really important items. Depending on the activity you plan to be partaking in, certain jackets will offer benefits in terms of pocket placement. Jackets that are orientated towards climbing will have their pockets situated higher to facilitate the use of a harness. A good waterproof jacket is not cheap, but is a wise investment and you’re sure to have it for several good years. However, if not cleaned or looked after properly. Coated: Waterproof coatings can get damaged and lose its repelling properties. Always read the instructions on the label and use a non-detergent based solution. There are special DWR sprays that refresh the coating, this prolongs its property of beading rain water once it hits the outer layer. Membrane: Membrane fabrics are highly specialised and in addition to a unique construction feature special technologies. Ensure your jacket is washed with a non-detergent based solution and is then re-proofed afterwards. You should be able to get through 3-5 washes before this is needed again. If in doubt spray some water on to the jacket once dry, if the water beads then you will not need to re-proof it.